Only two/three (depending on timezone) days left until Halloween, and for comic fans that means Halloween ComicFest with free comics! You can check if your local comic shop is participating using the store locator on the Halloween ComicFest homepage, a lot of shops all around the world seems to have joined. 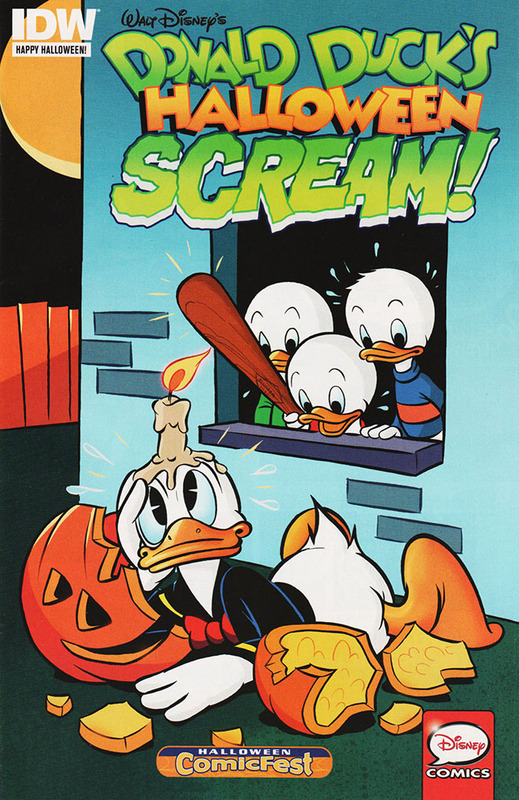 Among the free comics this year is Donald Ducks’s Halloween Scream! from IDW. Earlier the free Halloween comics have usually been small in size and with few (typically 16) pages. 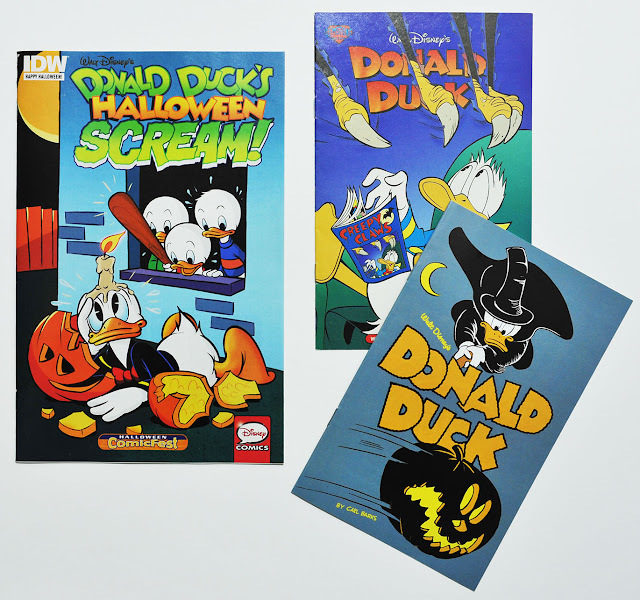 This year however the Disney one is a 32 page regular sized comic, containing two Halloween stories by William Van Horn. "Donald Ducks’s Halloween Scream!" 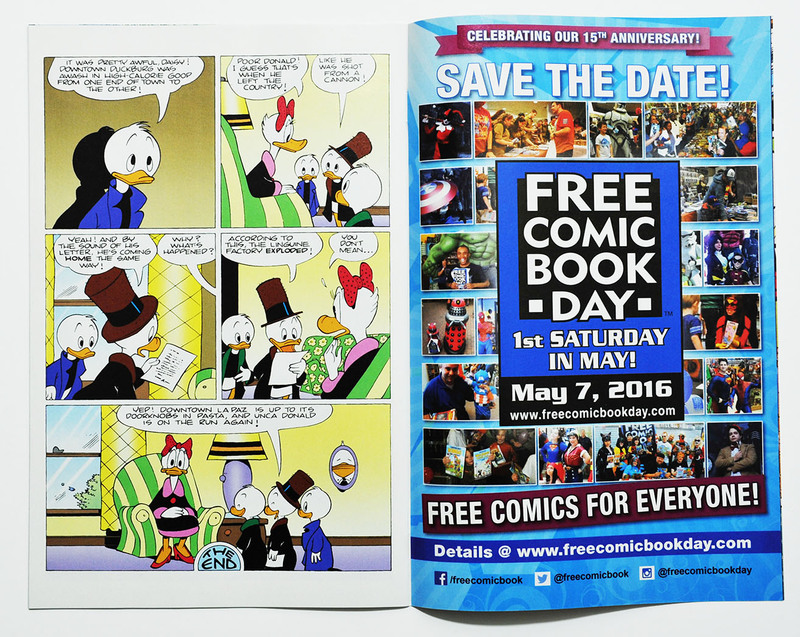 compared to earlier giveaways from Gemstone and Fantagraphics.